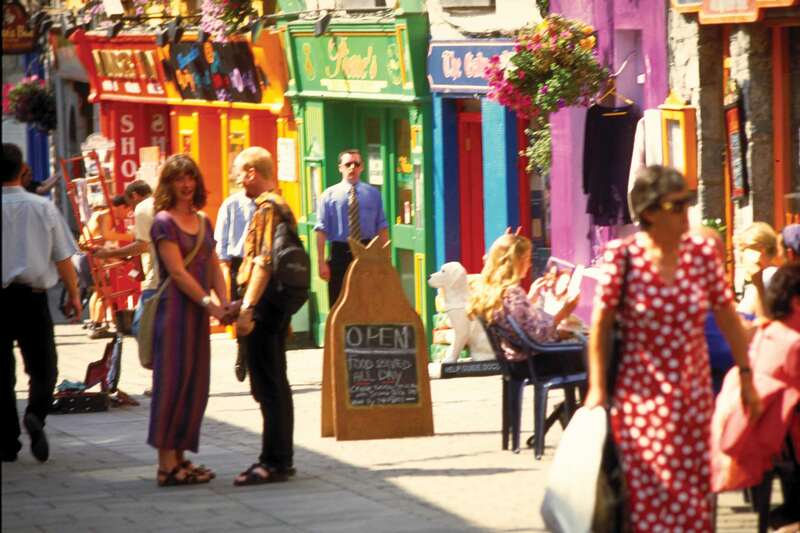 Galway is a lively university enclave of narrow streets, quaint shop fronts, bustling pubs and stunning scenery. Galway has always attracted a bohemian mix of musicians, artists and intellectuals. That sense of freedom and creativity is palpable as you walk the streets. Galway has been an important commercial center since the 11th century when it traded heavily with Spain and Portugal. In 1477, Christopher Columbus was one of Galway’s renowned visitors. (It’s amazing he didn’t stay!) At that time Galway was known as “The City of the Tribes” because it was ruled by 14 wealthy merchant families. Today it is a vibrant, popular hub buzzing with festivals, parades, street musicians, and racing boats. The annual Arts Festival attracts thousands, especially for its outrageous, glorious street parade. Start the new year off with a dream. Plan a perfect, custom time in Galway City!